The River Yare rises south of Dereham and flows into the North Sea at Gorleston, Great Yarmouth a distance of about 30 miles. 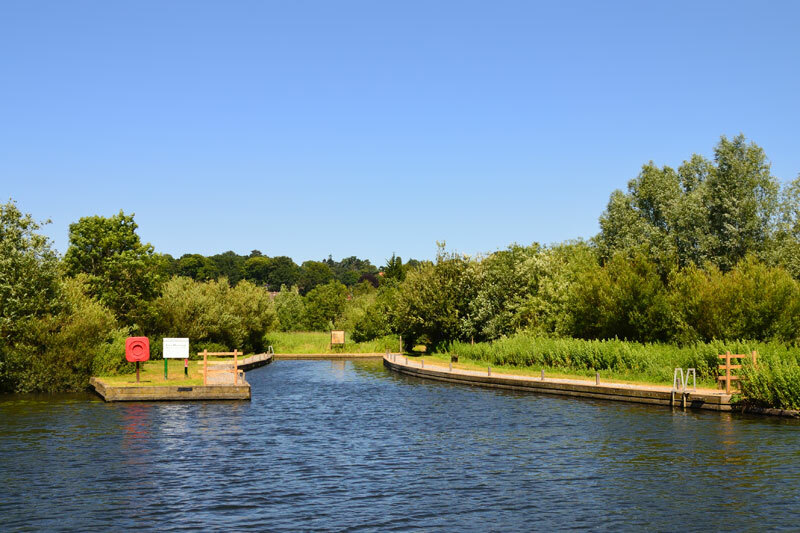 It is navigable to hire craft from Whitlingham were it is joined by the Wensum to Great Yarmouth a distance of 25 ¾ miles. A long distance footpath the Wherryman’s Way follows the Yare from Norwich to Great Yarmouth. There are 12 shorter circular walks along the route ideal for anyone who wants to take a short stroll. 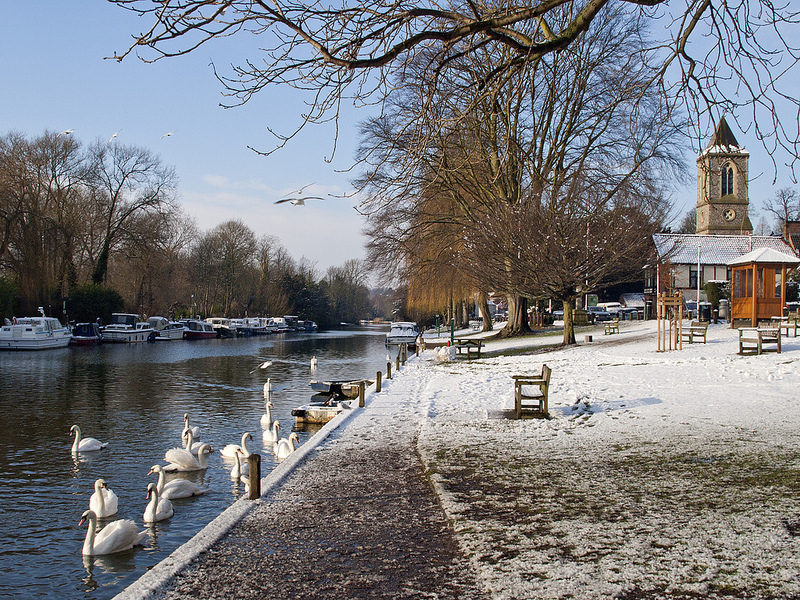 This first section of the river can be busy with craft from the Norwich Rowing Club and Carrow Yacht Club. On the right are the Broads Authority Whitlingham Country Park moorings. 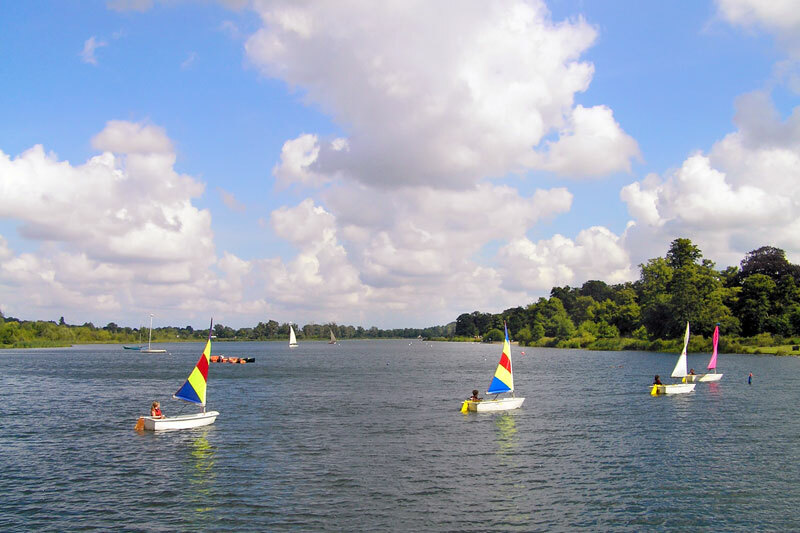 Whitlingham Country Park covers and are of over 35 hectacres and is jointly managed by the Whitlingham Charitable Trust and the Broads Authority. 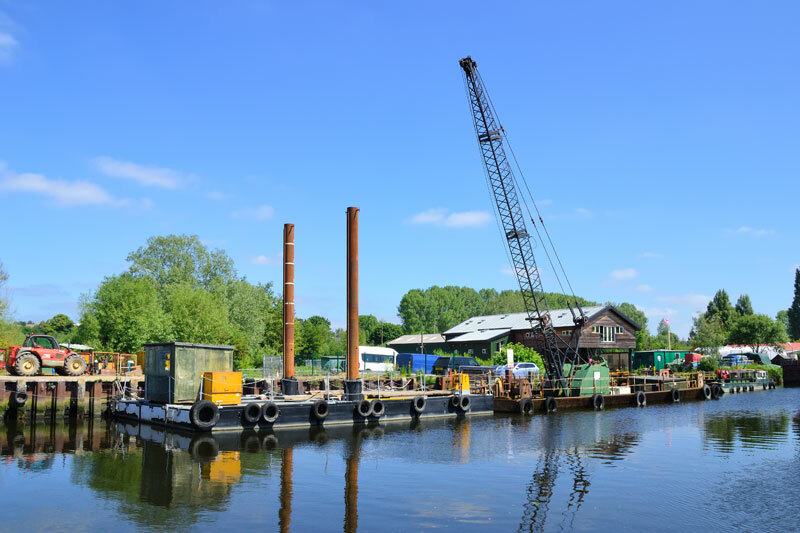 The two broads – Little Broad and Great Broad were built after gravel was extracted for construction projects in the city of Norwich. 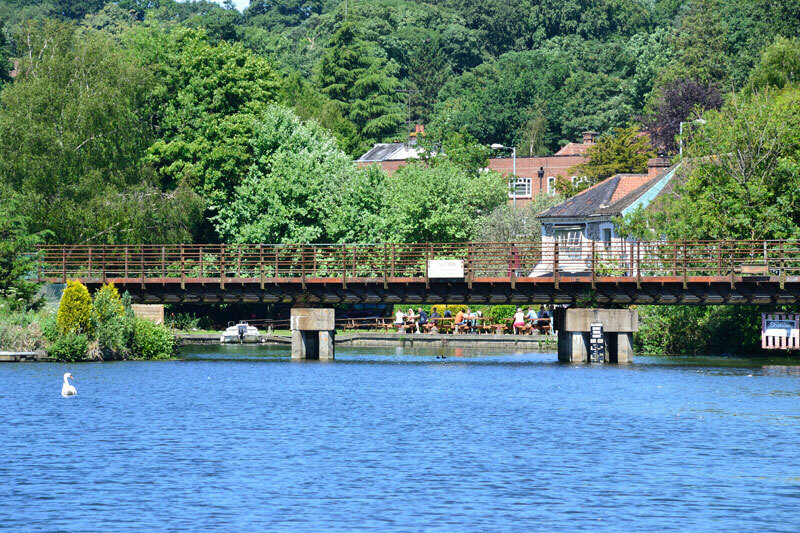 The park is situated right on the banks of the River Yare in a lovely situation with beautiful walks alongside Great Broad or through woods teaming with wildlife. There are an amazing amount of exciting activities to take part in, one can quite easily spend the whole day here if you have the time. 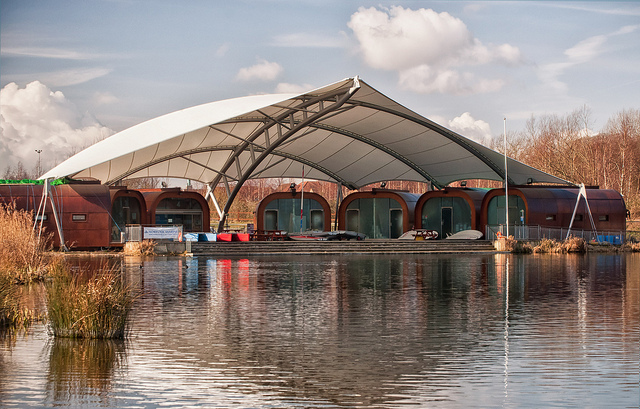 Whitlingham Outdoor Education Centre stands on the western edge of Great Broad, activities include windsurfing, sailing, archery with lots more besides. There is a visitor centre housed in a historic flint barn, it has displays on the history of the area and a Broads Authority information point. The café here serves a range of light meals snacks and drinks and has an outside seating area with lovely views over Great Broad. The café is open all year everyday with limited opening times during the winter. 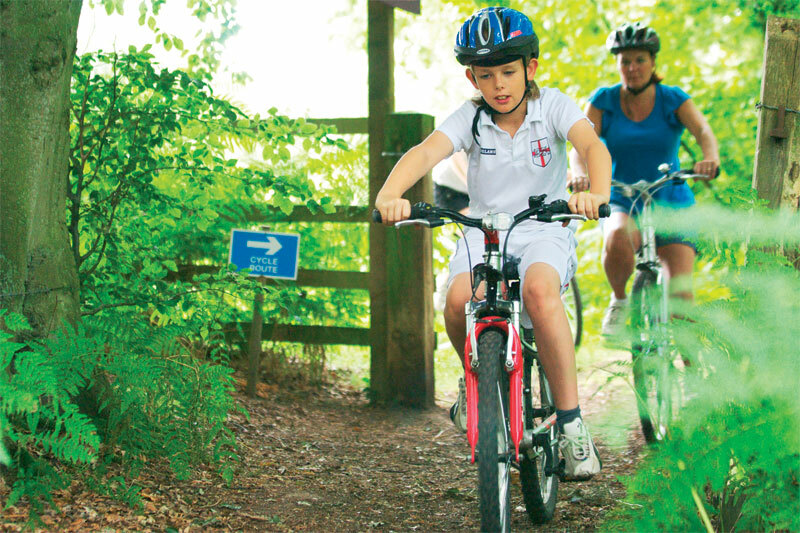 There are way marked country walks, cycle paths, a play area for younger children and for the more adventurous older child an activity trail. All this in and around this beautiful park with lots of opportunities to stop and have a picnic. 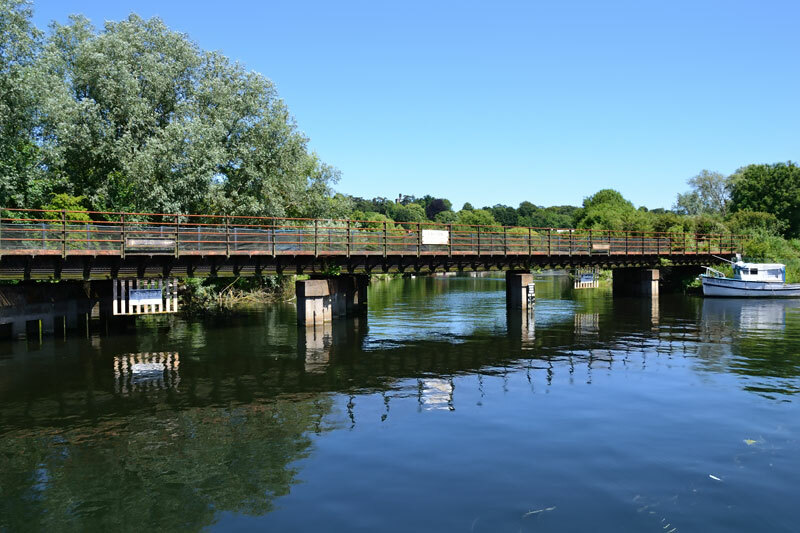 The 2 mile walk around Great Broad is suitable for all with a compacted surface making it ideal for wheelchairs and pushchairs. There are many things to discover here including the ruins of Trowse Newton Hall hidden amongst the trees and Norfolk’s oldest limekiln. 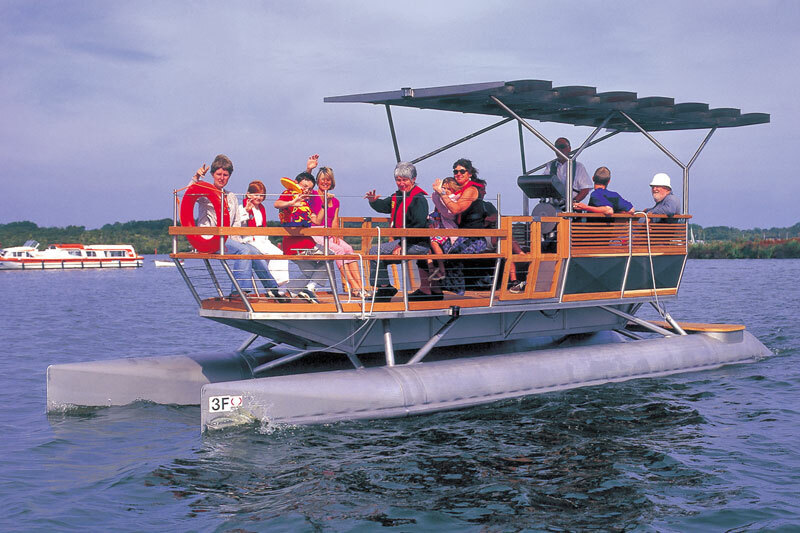 And if you want to get afloat there is the solar powered boat Ra, named after the Egyptian God of the Sun. 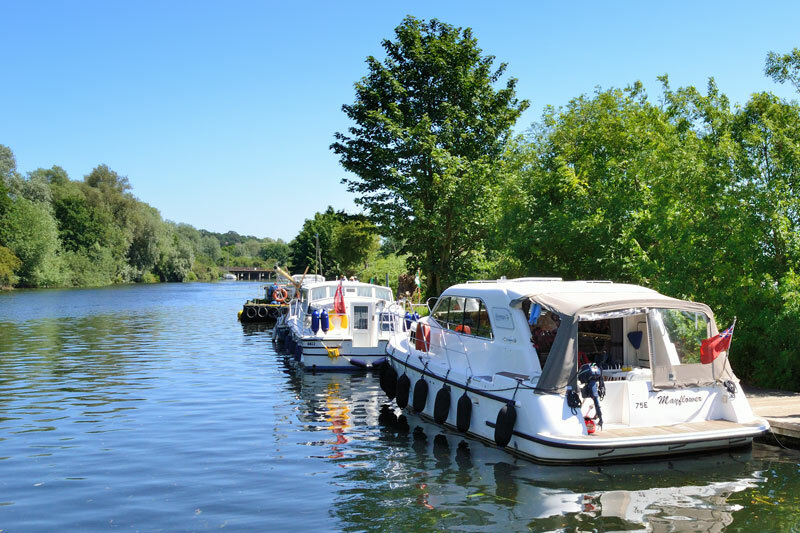 The 30ft 12-seater boat takes you on a guided wildlife tour of the broad with views back to the city of Norwich. Trip times: 11.00, 12.00, 14.00, 15.00 and 16.00 from June to September, April, May and October: weekends, bank holidays, Easter week and local half term only. On the left is Thorpe Old River Upper Bridge with a height of 6 ft at average high water. The main channel continues along Thorpe New Cut. The old route of the river leads under the bridge to Thorpe St Andrew, this section can become quite shallow at low tide so care is needed. Immediately on the left is Cary’s Meadow. Cary’s Meadow is an area of marshland covering an area of 22 acres it was transferred to the Broads Authority from Sainsbury’s in 1998. It is looked after by the Norwich Fringe Project. It was designated a Local Nature Reserve in February 2008 by the Broads Authority and Natural England. Cows graze on the meadow, which is rich with wild plants including Orchids. The trees and scrub are popular with birds and there is also a bat colony. There are paths across the meadow and a fishing platform on the Yare but no moorings. 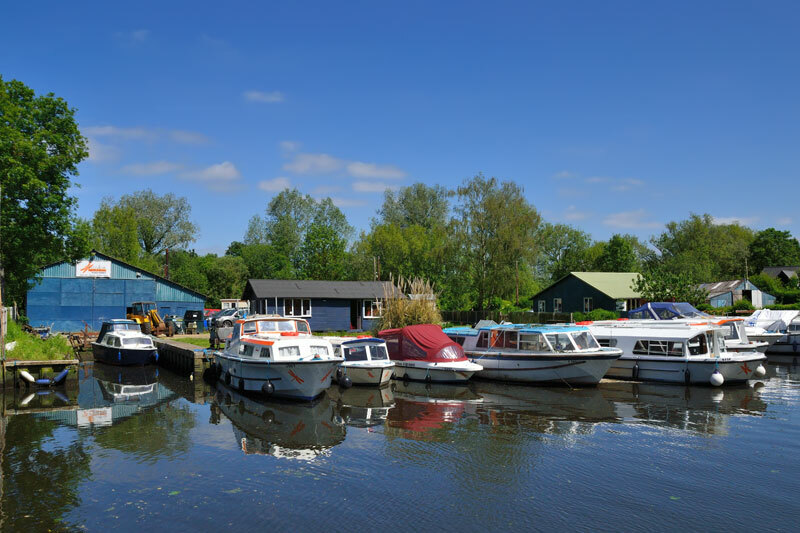 On the left at the far end is Thorpe River Green and the Broads Authority moorings. 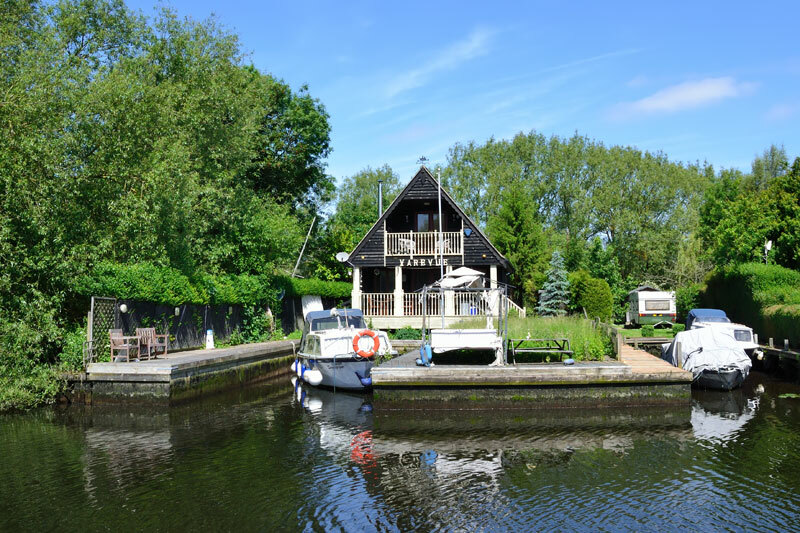 If you have clearance at the bridges the moorings at River Green make a delightful spot to moor, Norwich being just a short bus journey away. The green has large population of wildfowl including Doves, Mute swan, Greylag goose, mallard, jackdaw, pied wagtail, coot and water hen. The green is popular for picnics in the summer and conker hunting in autumn and looks amazing covered in snow with the parish church as a backdrop. The church here is an attractive Grade II listed building. The ruins of the previous church stand in the well-kept churchyard. Across the river from the green is Thorpe Island, created when Thorpe New Cut was dug. 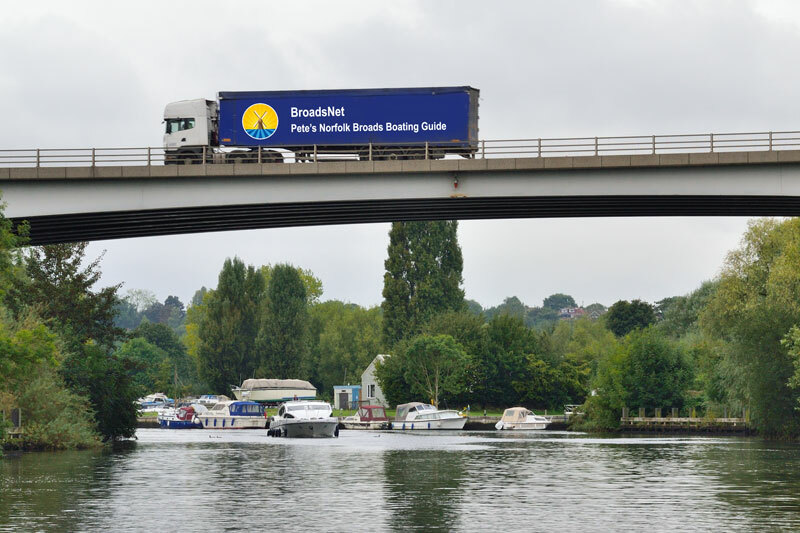 The cut allowed the passage of boats to Norwich unhindered by the low railway bridges. The island is privately owned with no moorings for hire craft. Hearts cruisers operated here under various owners for over 100 years but sadly the hire base closed at the end of the 2002 season. Thorpe St Andrew is well served with pubs – adjacent to River Green Staithe is the Rushcutters Arms a cosy pub with a real open fire lit during cold weather. The riverside patio and garden is attractive with moorings for patrons. Towards the parish church you will find the Buck Inn, a traditional pub with a flag stone floor and open fire. The River Garden is a little way past the parish church and has a beautiful garden on the banks of the Yare. The Innkeepers Lodge with its lovely riverside garden is opposite the Radio Norwich building and is a Crown Carvery. Harley’s Coffee bar is behind the staithe and serves light snacks and ice creams. As the green is left we immediately come upon the other low railway bridge – Thorpe Old River Lower Bridge with a height of 6ft at average high water. Turn left for Bramerton and right for Norwich. Keep and eye out for the boats from the local boat club. Shortly on the left is the base of Broadland Boat Club, a popular rowing club. On the right is Whitlingham Great Broad. A little further on the left are the Broads Authority moorings at the Commissioners Cut, Whitlingham Lane. The river turns sharply, on the left are flooded quarry workings and on the right is Old Wood, part of Whitlingham Country Park. A little further down on the left is Freedom Boating Holidays hire base , a number of older boatyard buildings line the bank along with some holiday chalets. The Broads Authority Maintenance Yard is on the left. Just before Postwick Viaduct is Thorpe Marina and Griffin Lane Quay. Postwick Viaduct has 35 ft headroom at average high water and carries the main A47 around Norwich to Great Yarmouth.